Today is Christmas Eve, and it's a double celebration for Shirley's friend, as they are celebrating their Baby Boy's Full Moon to day too - "Happy Full Moon to Baby Vishawn". 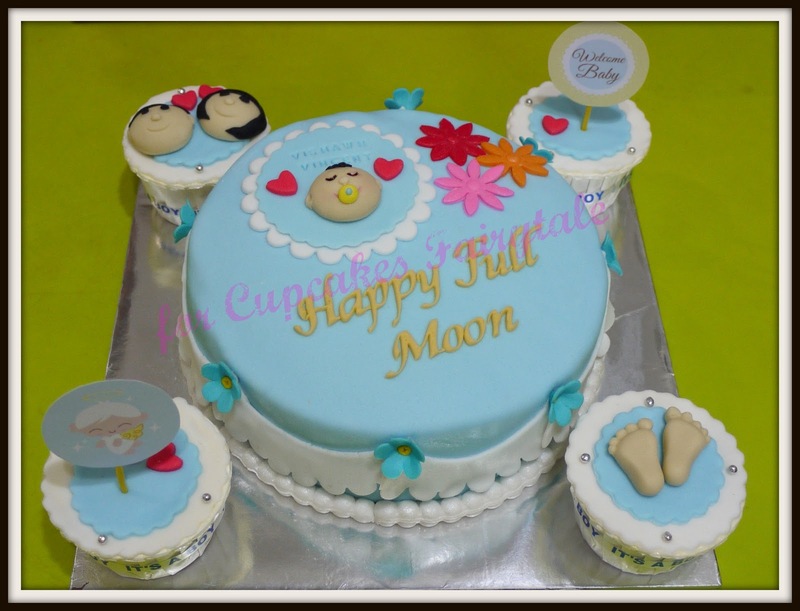 Shirley commissioned this cake and cupcakes for them to celebrate this big occasion.......and a very memorable one too. 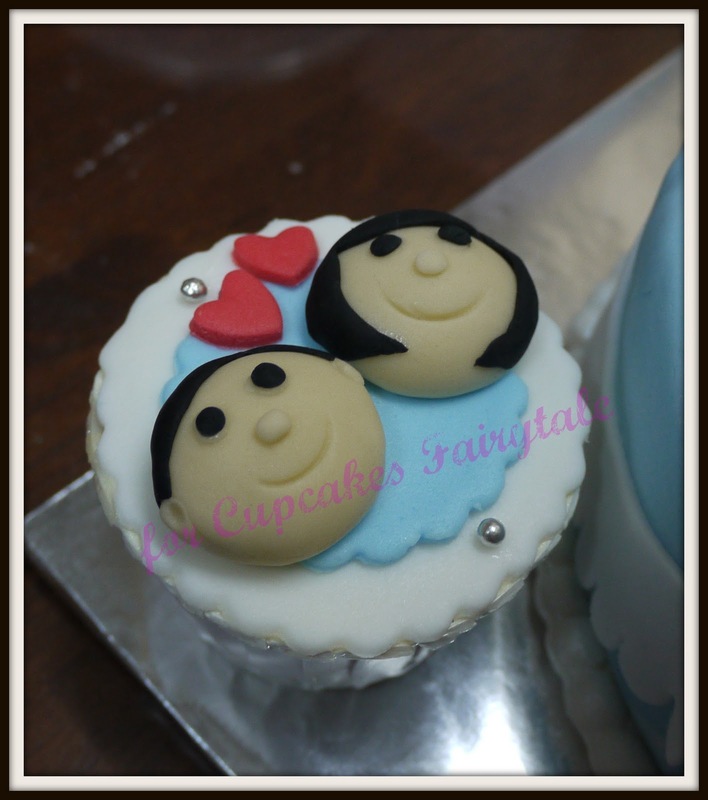 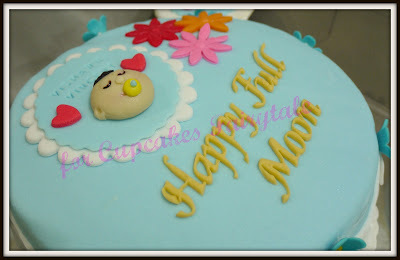 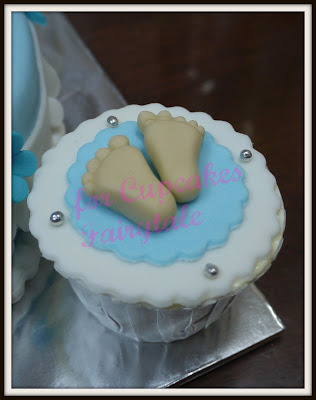 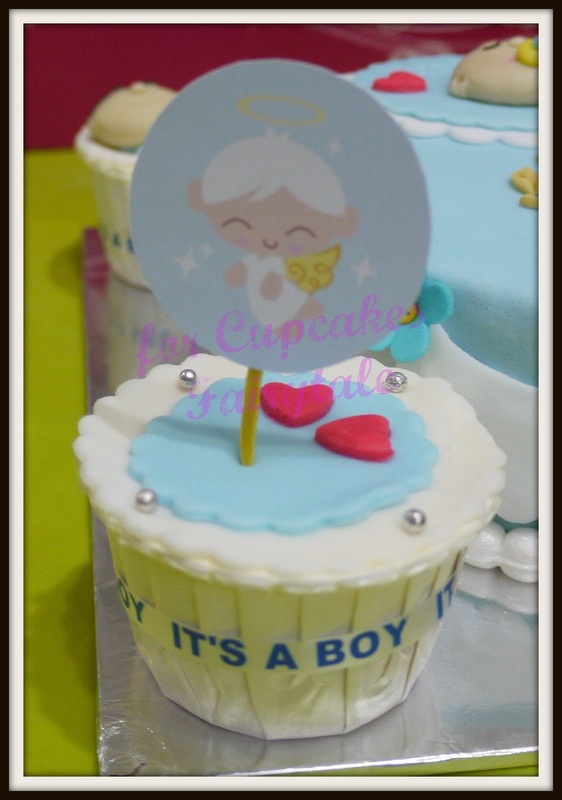 Thank you Shirley for trusting Cupcakes Fairytale in the creation of this cake and cupcakes. 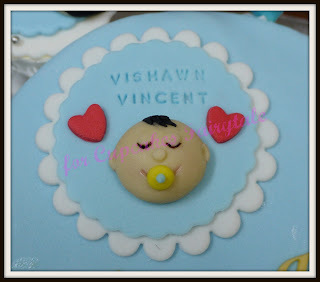 Happy Full Moon, Baby Vishawn! !